Fun, fun, fun!!!! 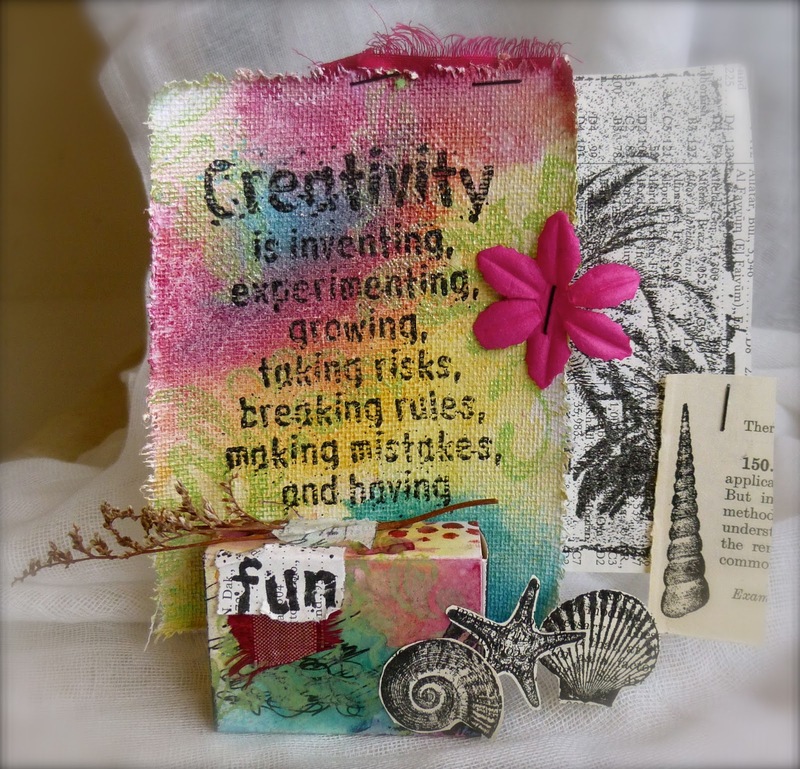 Darkroom Door's new quote stamps, 'Creativity' is a great reminder of all those wonderful things that creativity brings. This piece started with a plain matchbox which was altered with glimmer mist, stencils, text, paint, fabric and Darkroom Door's 'Fancy Flourish' eclectic stamp. I then worked on a piece of canvas paper in the much the same way and when happy with the background, stamped the quote directly onto the canvas. This piece was embellished with dried flowers, washi tape, fabric, paper flower and staples along with images from Darkroom Door's Seaside Vol 2 stamp set. I love this quote and it seemed to give me the freedom to do all that it states as I put this piece together. It was a really fun experience! I hope this inspires you to be more creative and experimental too!